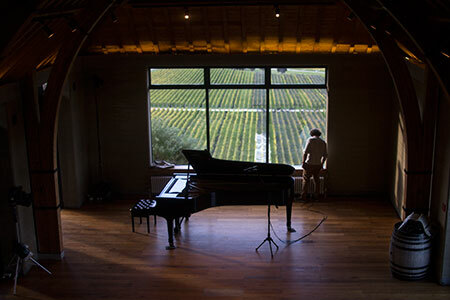 Innovative pianist and composer Jonathan Crayford has been touring New Zealand with a Steinway D piano in tow for the past couple of weeks, from Auckland to Queenstown and Dunedin, now making his way back up to South Island to end the tour in Wellington. From cement silos, a wine cave, a concert hall and various other interesting spaces, Crayford has been performing anything that may take his fancy, Lorca, Ravel and Monk to Peter Gabriel. Below is a snippet from his most recent performance at Hanover Hall in Dunedin.